Just a Quote offers free, independent and unbiased advice on a wide range of home improvement products and services across the UK. If you would like detailed information about your individual requirements, see sample products or brochures and receive a written estimate, Just a Quote can help. 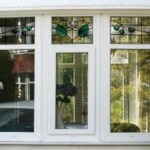 Just a Quote is a one-stop shop for all of your home improvement requirements, whether you are looking for replacement windows, replacement doors, a new conservatory, orangery or porch, a new driveway, roofing work or any of the renewable energy heating systems supported by the Government’s Feed-in Tariffs or the Renewable Heat Incentive (RHI). Feed-in tariffs and RHI tariffs are paid to householders who install Solar PV, Biomass Boilers, Solar Thermal Water Heating Systems, Ground Source Heat Pumps and Air Source Heat Pumps. 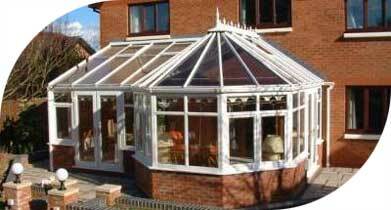 Just a Quote will introduce you to local tradesmen who offer competitive prices and an excellent service. Our aim is to help homeowners to obtain good quality home improvement products and services which offer real value for money without the hard sell. With Just a Quote we aim to make sure that you get the best advice, the best products and the best advice. Just a Quote will introduce you to one of our authorised home improvement companies and although they may offer you a home survey and design consultation, if all you require for now is ‘Just a Quote’, that’s fine. Complete the form on this page and we will introduce you to a local reputable company to provide a free quotation to exactly your requirements. 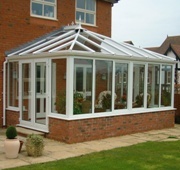 We aim to ensure that you obtain value for money for your new home improvement product in a relaxed, stress-free manner. 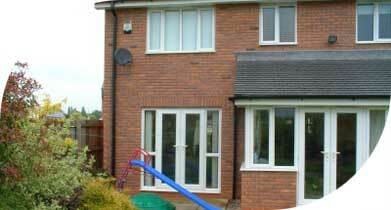 Many of our clients save by employing companies which we have introduced to them to carry out home improvements. And that applies whether you are looking for a window quote, a door quote, a conservatory quote, an orangery quote, a driveway quote, a roofing quote, a biomass boiler quote or just about any type of home improvement quote you may be interested in. 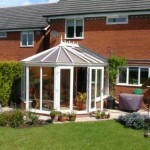 The Just a Quote free quotation service is available throughout England, Scotland and Wales. You will be contacted by telephone and offered a free quotation and design service from up to four home improvement companies local to you. What makes Just a Quote different? We at Just a Quote believe that purchasing home improvement products and services in your home should be a pleasurable experience, not one you approach with fear and apprehension. As a potential home improvement customer you should be able to obtain all the information you need, consider it at your leisure and form an opinion based your own requirements and value for money – not simply because a sales representative insists that the ‘one-off deal’ on offer is only available today. Just a Quote will help you to achieve this. There are tens of thousands of home improvement installation companies who are more than happy for you to accept ‘their version’ of the truth and sell you anything from windows to doors, conservatories to orangeries, driveways, roof coatings, solar PV.…… the list goes on. And everyone knows someone who has experienced the ‘hard sell’ from at least one of these companies. We firmly believe that ‘cold-calling’, either by telephone or knocking on your door should be a thing of the past and that customers should be allowed to buy home improvement products without being put under pressure. Just a Quote will introduce you to industry experts who can guide you through the minefield of home improvement products to ensure that you receive excellent customer service and a job well done at a fair price. 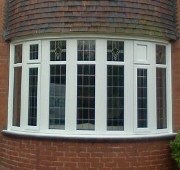 Just a Quote can provide you with a window quote in PVCu, hardwood, softwood, aluminium and composite products. The various window styles include casement windows, tilt and turn windows, sliding sash windows, bay windows, bow windows and secondary glazing. 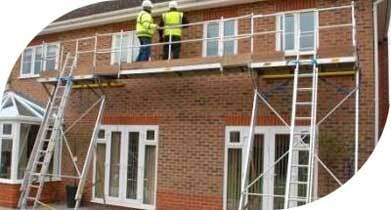 On this website we cover FENSA requirements, installing your own windows, energy efficient windows, changing the colour of your existing PVCu windows and 10 things to look for in good quality windows. 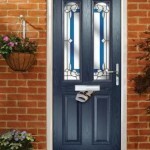 Just a Quote can provide you with a door quote in PVCu, hardwood, aluminium and composite products. 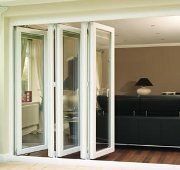 The various door styles include residential doors with or without side panels, double doors (also referred to as French doors), sliding patio doors and bi-fold doors. On this website we cover FENSA requirements, installing your own doors, energy efficient doors, changing the colour of your existing PVCu doors and 10 things to look for in good quality doors. 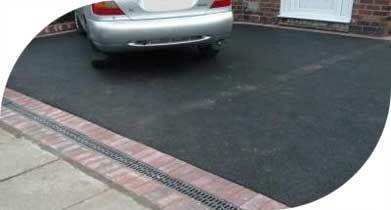 Just a Quote can provide you with a driveway quote or a patio quote in a range of products but we focus on tarmacadam, concrete block paving, pattern imprinted concrete and resin / aggregate systems. 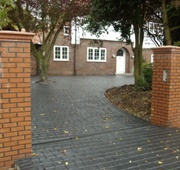 We deal with colour options, paving patterns & style, processes involved in a typical installation, practical considerations, advantages & disadvantages and cleaning & refurbishment. Other areas covered include planning permission and the Government’s Sustainable Urban Drainage initiative (SUDS). 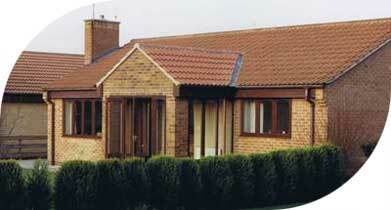 Just a Quote can provide you with a uPVC soffit, fascia and gutter quote (often referred to as roofline products). 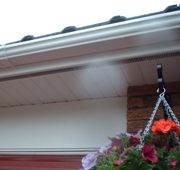 We cover PVCu roofline products (replacement soffits, fascia boards, gutters, down pipes and cladding) and the processes involved in a typical installation, the colours available and the correct access equipment needed to meet Health & Safety requirements. 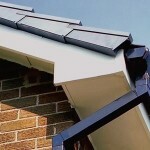 Just a Quote can also provide a flat roof quote or a tiled roof quote. We cover the merits of Glass Reinforced Polyester (GRP) flat roofs, Rubber EPDM flat roofs, PVC flat roofs, bitumen felt flat roofs and the replacement of slates and both clay and concrete tiles on pitched roofs. Renewable energy heating systems are being heavily promoted to reduce the use of fossil fuels and help reduce their impact on climate change and global warming. Government financial incentives such as Feed-in Tariffs and the Domestic Renewable Heat Incentive have been introduced to encourage householders to install renewable energy heating systems such as solar PV, biomass boilers, solar thermal water heating systems, ground source heat pumps and air source heat pumps. When you invite a sales representative into your home to give you a new window quote, a door quote, a conservatory quote, a driveway quote, or any other home improvement quote, you may be impressed by the level of knowledge they have and the care that goes into the designs presented. What you will rarely get though is objective, independent, un-biased advice – because for all of the friendliness and empathy the sales representative may impart, they are there for one purpose only – to sell their company’s products, and generally at the highest price they can. Just a Quote aims to provide you with completely independent and unbiased advice so that when you invite a home improvement company to give you a quotation, you’ll have more knowledge on which to base your decision. In this way Just a Quote will hopefully play a part in making sure that you get the best advice, best products, best designs and most of all….the best deal. Why? Quite simply it’s down to the way that many home improvement companies with direct sales people operate – the higher the price they charge, the more sales commission the representative is paid. And all too often this results in a battle of wits and a bartering competition between you and the sales representative – the problem is, they are experienced in the process. The quality of product and service, and its relevance to your requirements almost becomes secondary to the price, but in most cases the price is totally irrelevant unless your main criteria are satisfied first. Companies introduced by Just a Quote will listen to your requirements and offer advice on your unique set of circumstances so that the home improvement product or service you receive matches your needs. With your permission we will introduce you to reputable home improvement companies which supply good quality products, installed properly and which offer real value for money. You can consider Just a Quote a one-stop shop for a window quote, a door quote, a conservatory quote, an orangery quote, a driveway quote, a roofing quote, a renewable energy heating system quote or just about any type of home improvement quote you may be looking for.